Mitzvah Makers now in its 7th year! Our Mitzvah Makers program has been an incredible success for several years, and we are so happy to welcome returning and new students for our 2017/2018 school year. Mitzvah Makers meet monthly to plan details for upcoming events, socialize and play games to make new friends, and have fun as a community. 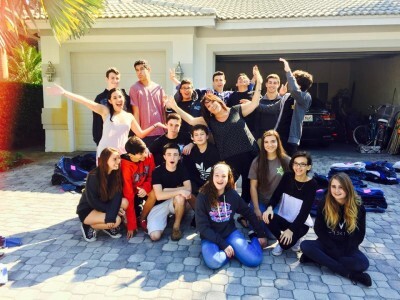 Then, once a month, we go out into the community to take part in a charitable program the students plan and develop, allowing them to feel empowered and to experience the amazing feeling of Tzedakah. I say – the words Mitzvah and Project should NEVER go together! Performing mitzvot should be a fiber in the fabric of our daily lives, and we should always be aware of our potential impact on society – just by performing one single act of kindness for just one person. Contact Cantor Debbi today to see if Mitzvah Makers is right for your child. (954)646-1326 or click here to enroll today!